MysticTurtle is one of our great lensmasters. Recently she was feeling a little discouraged about her limited Squidoo successes, comparing herself to other lensmasters. We all do this! There are always people out there more successful than we are! She wrote a funny yet very practical lens about Getting Over the SquidHump which is not just kind words — it also has some useful tips. My own approach when I’m down is to go back over my Squidoo SEO, but we all have different ways of tackling Squidoo! Have you taken a look at Pastiche’s Squidoo Stats Blog? one out of every three of her lenses earning top dollar. AND they’ll be earning lots of Amazon commisisons, on top of ad revenue! I have been aware of and lensrolled or featured some of Pastiche’s lenses on clipart, but that figure still knocked my socks off. 1) Cover a niche very well, with lots of lenses devoted to seasonal and specific topics within that niche. 2) Make well-organized, attractive, easy-to-use and easy-to-read lenses. 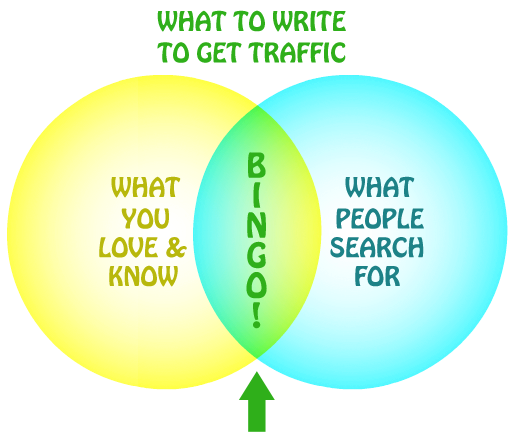 3) Target keywords like crazy so you get a lot of traffic for specific searches. Don’t just have a lens on clipart. Have a lens on clipart for vintage hearts, or John Deere Tractor clipart, or squirrels. 4) Clickthroughs. Oh my gosh the clickthroughs. Nearly everyone coming to her lens is LOOKING for something, and almost certainly will be clicking on some of her links because she gives EXACTLY what she promise to give with the lens title and opening blurb. 5) Amazon modules that target her reader’s wishes and needs exactly. It’s one thing to promote items related to your lens topic. It’s another thing altogether to target a particular audience that is desperately wanting the thing you offer, and will be quite likely to buy it. She’s identified a corner of the web for which there is a steady and unrelenting command, and provides a service so that lots and lots of people looking for it will come to her. I know from my own lens on where to get free graphics that there’s a bottomless demand here, but I haven’t really done much to monetize or follow up on that. Pastiche has! Of course, since she’s cornered the market on clipart so well, the answer is not to try and target the same niche, but to apply Pastiche’s winning Squidoo strategy to another niche– one that’s wide open. Hats off to you, Pastiche! Here is an unsolicited recommendation: Read the SquidUtils Blog! The Fluffanutta is a tech-savvy Squidoo member who has created add-ons for the Squidoo Workshop, maintains the SquidUtils site chock-full of free goodies for Squidoo lensmasters, and is responsible for some of the tools that eventually became incorporated into Squidoo itself. I use his Workshop Add-ons tools as part of my lensbuilding/promoting routine. He knows more about how Squidoo works than just about anybody who isn’t an actual employee of Squidoo. The SquidUtils Blog has tons of tips and suggestions for how to get the most out of Squidoo. I’ve learned an awful lot of what I know from that blog and Fluff’s post in the SquidU forums, and when I ask a question, Fluffanutta is usually the one who tells me what I need to know. So. SquidUtils Blog. Great source of Squidoo secrets and practical knowledge. This post is a thank-you to Fluff for straightening me out and helping me understand two different Squidoo topics in the last couple of days! Flowergardener is one of many, many great Lensmasters. About a month ago she reported a bizarre case of webpage traffic hijacking. Someone’s managed to divert a TON of traffic from one of her lenses to a spam webpage. Their page has NOTHING to do with her topic. I can’t understand how they did it, and I’m not going to give them an atom of link juice by identifying the site, but the spam page is still up and is still diverting traffic. I’m a cat person, as should be obvious, but I approve of any lens that helps pet owners look after the health of their dogs, cats, or animal companions.